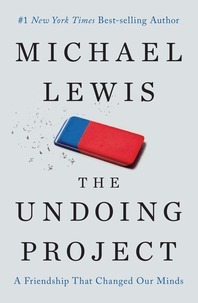 The Undoing Project is about a compelling collaboration between two men who have the dimensions of great literary figures. They became heroes in the university and on the battlefield—both had important careers in the Israeli military—and their research was deeply linked to their extraordinary life experiences. Amos Tversky was a brilliant, self-confident warrior and extrovert, the center of rapt attention in any room; Kahneman, a fugitive from the Nazis in his childhood, was an introvert whose questing self-doubt was the seedbed of his ideas. They became one of the greatest partnerships in the history of science, working together so closely that they couldn’t remember whose brain originated which ideas, or who should claim credit. They flipped a coin to decide the lead authorship on the first paper they wrote, and simply alternated thereafter.